Erland & the Carnival w/Duke Raoul. brighton gigs erland and the carnival indie the coralComments Off on Erland & the Carnival w/Duke Raoul. 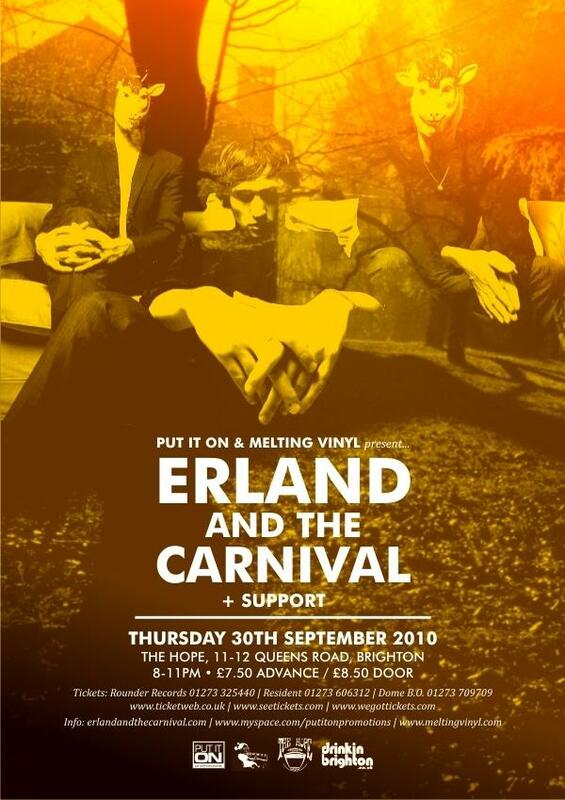 Worth a mention is the upcoming gig from Erland & the Carnival at Brighton Hope this thursday (sept 30th). Duke Raoul are supporting and we’re reliably informed that tickets are running very low. As far as we’re aware you can still get a few here though as well as the usual Brighton haunts. 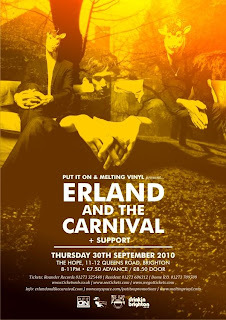 The much-hyped Erland & the Carnival conjure up elements of folk, indie and afrobeat, with more than a touch of The Coral.